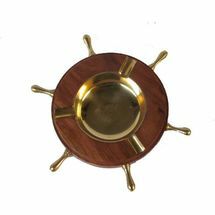 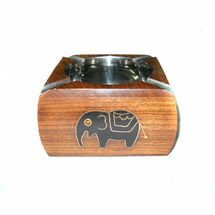 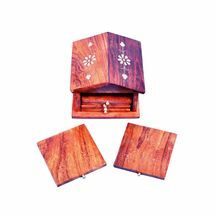 Hand crafted Wooden Ashtray with beautiful brass elephant inlay design along with hand carved zaali, which adds to its beauty more. 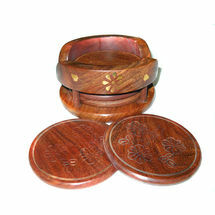 This comes with a brass cup inside this ashtray for keeping cigarette ash. 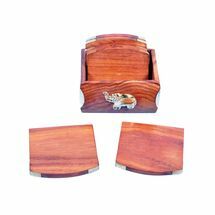 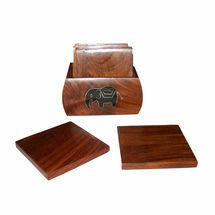 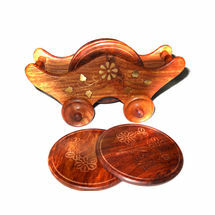 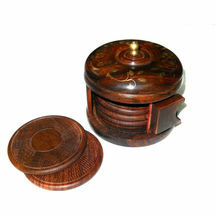 This ashtray also has a cigarette case to keep your cigarette safely and easily approachable.